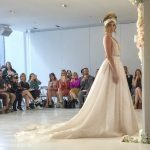 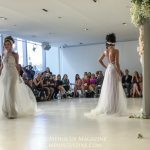 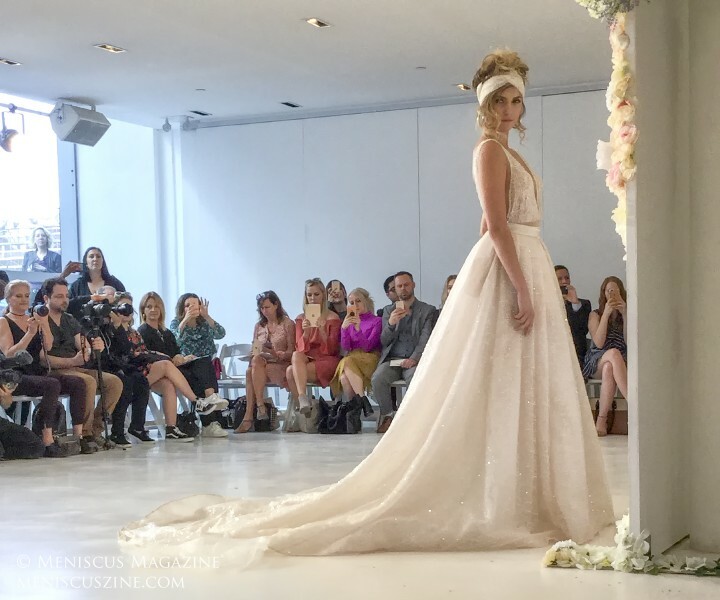 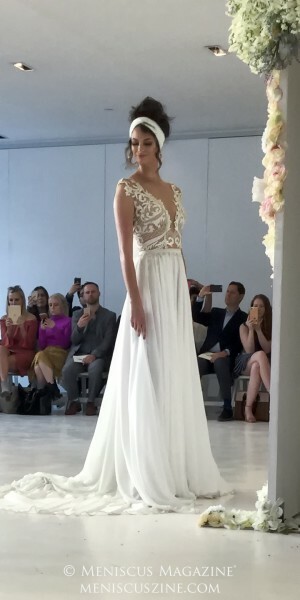 To be a Julie Vino 2018 bride, one must be very confident – make that, extremely confident. 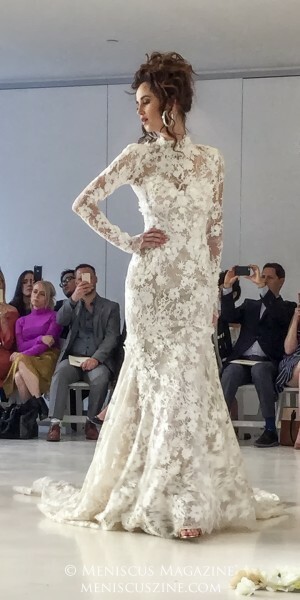 Hit the gym, go on a (sensible) diet, and basically take every necessary measure to show off Vino’s boldly elegant Cuba-inspired gowns. 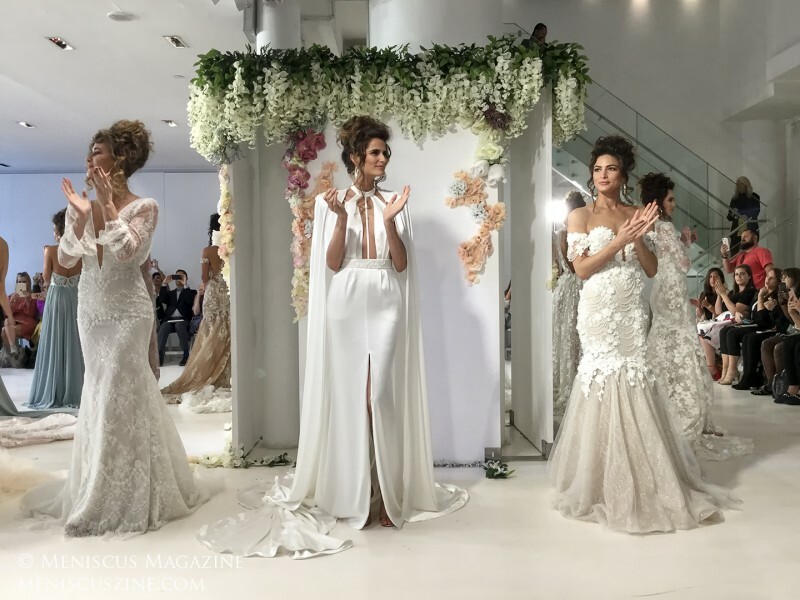 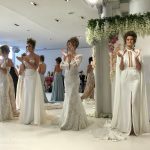 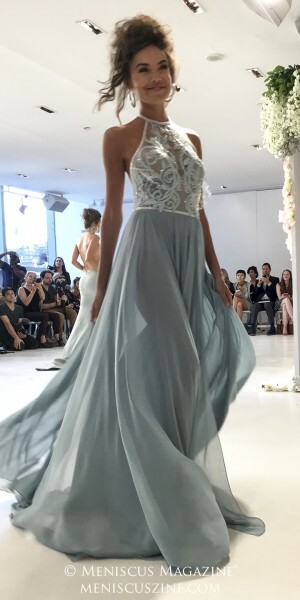 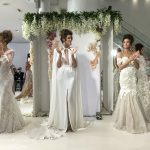 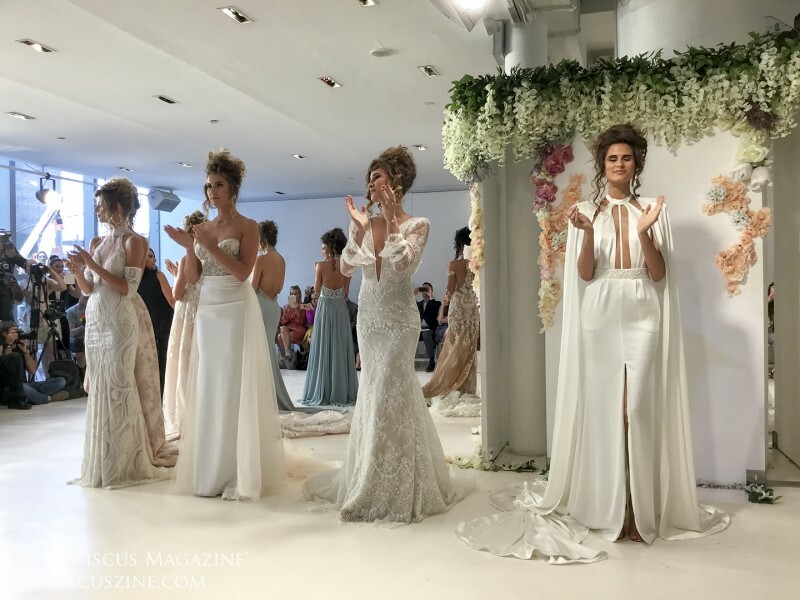 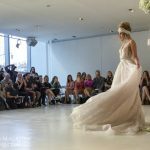 Plunging necklines and nearly bare backs were the order of the day at the Tel Aviv designer’s Havana 2018 collection at New York Fashion Week Bridal. 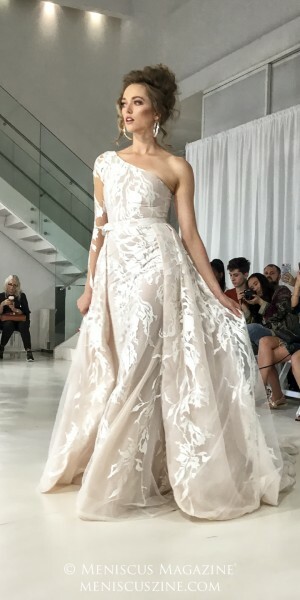 As such, white was not the only color on order, with several of the Cuban capital’s warm pastels served up as options in Vino’s 32-piece collection. 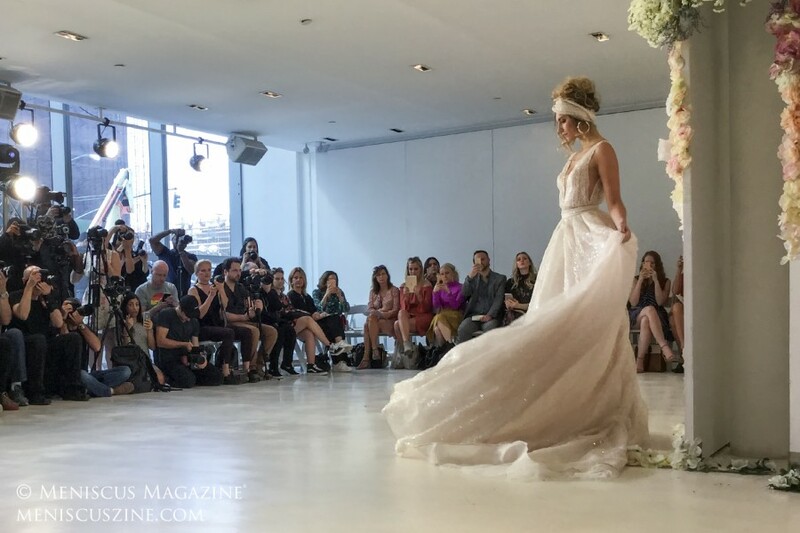 Lace and fringe details, as well as majestic trains, complemented one of the most important aspects for any bride walking down the aisle: movement. 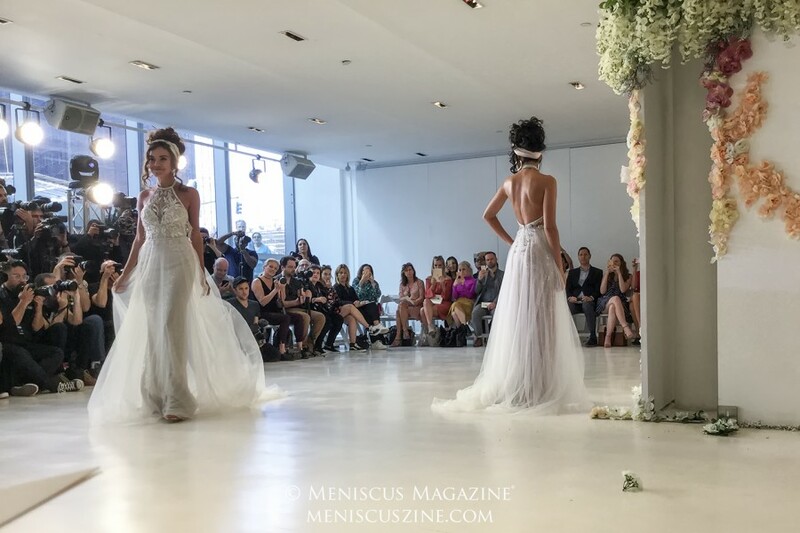 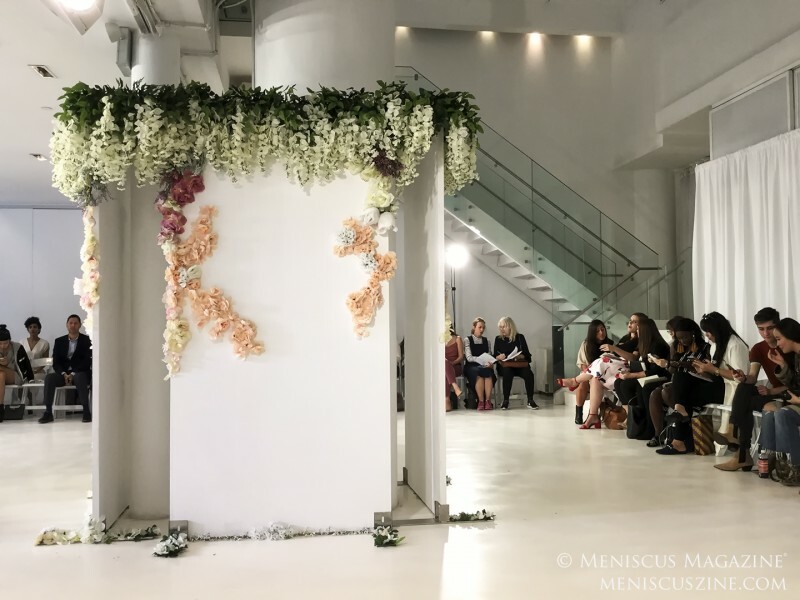 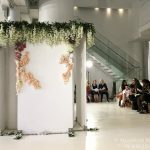 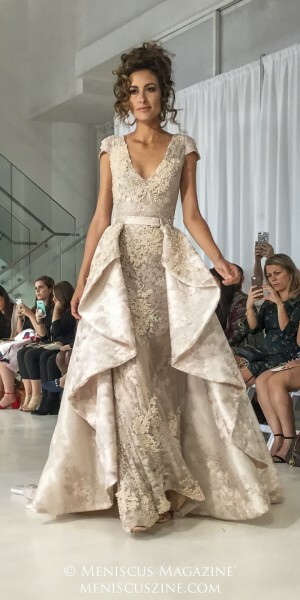 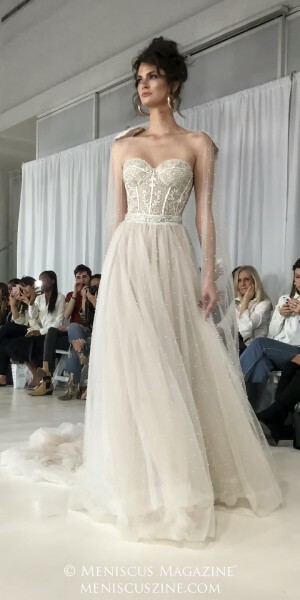 “The silhouettes are a combination of symmetric vs. non-symmetric, clean vs. embodied, matte vs. glossy which shows the direction I wanted to take my brides this season,” Vino said in a statement released before the show.